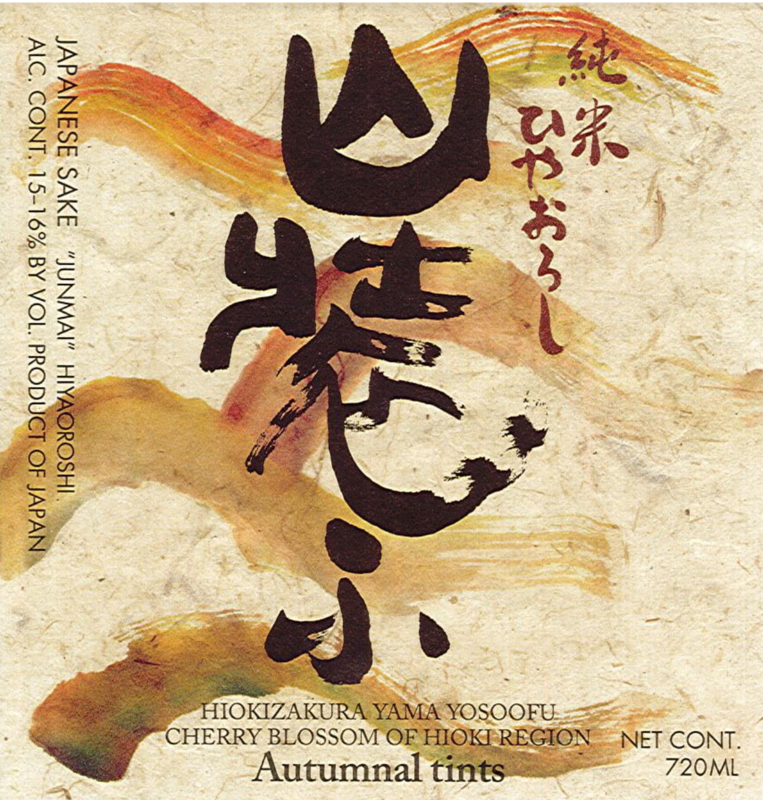 Hiokizakura's Yama Yosoofu is a single pasteurized autumn release sake, known as hiyaoroshi. It is produced using Yamada Nishiki and Tama Sakae sake brewing rice. A super dry and moderate-bodied session sake. Calming aromas of banana and lemon drops. Initial acidity comes on strong but is nearly undetectable from the second sip. Layered fruit nuances are supplanted by moderate acidity and a subtle astringent finish.